Whenever you are focusing on hiring high-demand top performers and innovators in a highly competitive market, there may literally be no factor that damages your recruiting results more than slow hiring. Intuitively, most organizations and individuals think that taking your time to gather information to make such an important decision would result in an increased quality of hire, but they would be wrong. Unfortunately, slow hiring does not improve the quality of those that you hire. Instead, it has the opposite effect. The primary reason for a drop off in hire quality is that with a delayed hiring process, all of the top candidates will likely drop out. In this highly competitive marketplace, the most desirable candidates quickly receive and accept other offers, or they decide to stay with their current employer. If revenue-generating or revenue-impact jobs are involved, having positions open for longer than the average of 43 days will also cost your firm significant lost revenue. Obviously prolonged delays in hiring will also strain your employees and lower team productivity and innovation. Of course, most recruiting leaders are looking for a quick fix that will dramatically reduce time to fill. 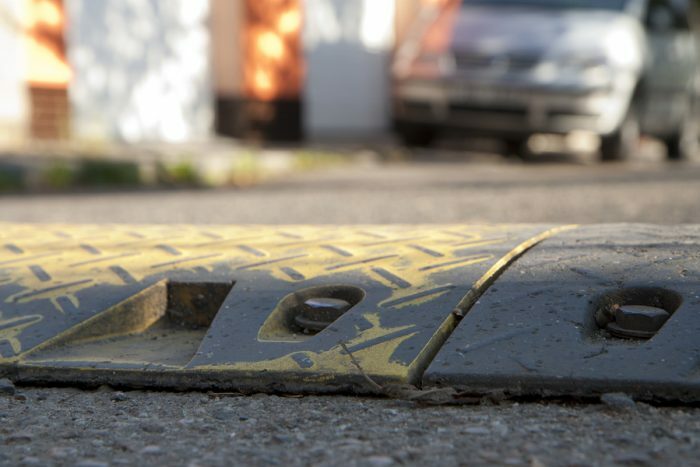 There are eight major “speedbumps” responsible for most of the avoidable lost time. Simply addressing these eight delaying factors directly may reduce your time to fill by up to 50 percent. As the “father of hiring speed,” I have been studying the causes and the solutions for unnecessarily slow hiring for decades. And as part of my research, I have identified the top eight weak practices that have that had the most dramatic impact on reducing time to fill. Focus your efforts on these high-impact speedbumps. They are listed below with the factors with the highest negative impact listed first. Most of the delays occur during the interview process, which on average takes 23.8 days to complete (55 percent of the entire hiring process). The availability of interviewees for face-to-face interviews — not only is this the highest negative impact factor, but it is also the easiest to resolve. Because the top candidates are almost always employed, it is extremely difficult for them to find time to come in for one or more face-to-face interviews (it’s hard to get away without embarrassing themselves with their current employer). (Best solution: use live or automated remote video interviews using the mobile phone to instantly increase the availability of your top candidates. At the very least, use video interviews for the initial interview). The back-and-forth process for scheduling interviews is painfully slow — the process of identifying times when both the candidate and the interviewers are mutually available causes immense delays. This continual “back-and-forth” right interview time identification process across multiple candidates is the second-most significant factor. (Best solution: fortunately, there is a variety of online candidate self-scheduling software that allows a candidate to quickly pick from the timeslots where the manager is also available to interview. Stretching out interviews over weeks because managers are too busy — the process of stretching out the interviews for candidates over multiple weeks is a significant delay factor. Part of the delay is caused by difficulties in candidate scheduling, but most of it is caused by a lack of a hiring manager’s availability to interview because they are simply too busy with their day-to-day work. (Best solution: require managers to be available on “interview Friday” and make it a standard practice to hold all candidate interviews on one single day or evening. Measuring and rewarding meeting interview deadlines may also help to get hiring managers to prioritize interviewing). Requiring too many interviews and interviewers — requiring individual candidates to go through up to eight separate interviews with a significant part of the team present is time consuming. Scheduling this many interview sessions and people is extremely difficult. (Best solution: follow Google’s data-based rule of four. Google’s procedure is to hold no more than four interviews per candidate and to not have more than four individuals participating in any interview. These limits also mean that your employees can spend more of their time on their day-to-day work). Delays because hiring managers are slow to select candidates — hiring managers are extremely busy. Ss a result, they seldom find time to get around to screening initial resumes, screening candidates for the interview slate, and selecting the finalist. Taken together, these delays related to selecting candidates has a dramatic negative impact on the speed of hire. (Best solution: start by setting a “decide by” target date, because managers are accustomed to meeting deadlines. Next, provide managers with a decision checklist, which is a one-page list of the weighted criteria that should be used to make a decision. This checklist will force them to focus by limiting the factors that they consider and by encouraging interviewers to place the appropriate weight on the most important factors). Delays as a result of setting a fixed time period to wait before hiring — setting a fixed time period of several weeks where you will accept and consider applications guarantees an extended time to fill. (Best solution: instead of a fixed time, state that the position will be open until filled. Also, begin screening applications immediately as they are received, so that you can respond with great interest immediately when you receive an exceptional applicant). Initial offers are rejected because they are not competitive — a common speed bump is a process that is slow to make offers. However, when you’re dealing with exceptional candidates, any attempt to “lowball” candidates in the hope that you might get them to accept something lower will foolishly result in the loss of top candidates. They may drop out because they were insulted by a lowball offer or they may accept an offer in hand while they are waiting for a follow-up reasonable offer from your firm. (Best solution: set an 80 percent acceptance rate as a target for the initial offer to exceptional candidates, and measure and reward both recruiting and compensation for meeting that goal). Unrealistic initial job specifications require a search to be reopened — by far, the largest unnecessary addition to time to fill is when a search must be redone under updated job requirements. In many cases, managers guess the minimum job requirements. And in most situations, they err on the side of excessive skills and experience. When these job specs are not realistic for the job level and the pay offered, the search may have to be completely redone. And, the change will literally add weeks to your time to fill. (Best solution: require decisions covering minimum job requirements to be based on proven predictive factors. Whenever a manager insists on “excessive qualifications,” make it a policy that they can only be listed as “preferred factors” and make recruiters responsible for convincing hiring managers to make the job requirements realistic). If you have the time and the resources, there are some additional harder-to-implement actions that can significantly improve your speed of hire. Start by measuring and reporting to hiring managers and recruiters the steps in hiring funnel that are not meeting the time deadlines. Next, focus on speeding up the reference-checking process by using a vendor with an electronic system, so that you don’t lose finalists while top candidates impatiently wait. Also, educate recruiters and hiring managers about the negative connection between a long time to fill and the resulting quality of hire. Rewarding recruiters and hiring managers for their quality of hire will also have a significant impact. And finally, if you’re really bold in this highly competitive marketplace, set up a one-day hiring process because most of the exceptional candidates may be gone within 10 days. By following the lead of numerous firms like Intuit that have gone to the extreme by using one-day hiring models in order to avoid losing top candidates in the areas of artificial intelligence and cybersecurity. And of course, hospitals have used accelerated one-day hiring processes for years to capture the most desirable nurses that have so many other options. Rather than cutting complete hiring process steps randomly, adopt a data-driven approach that is routinely used as part of process re-engineering. Start by developing a process map that identifies the average time required at each step. Then you focus on each of the steps in the hiring funnel that take the longest amount of time. Next explore already proven solutions that have had a dramatic impact on shortening the time at benchmark firms. And as technology evolves, look for more automated solutions that cut administration time. Fortunately for each of the top right roadblocks listed above, there are already relatively inexpensive workarounds that can cut the time required to complete the hiring process in half.